Basically when I got on the server, conqueror invited me to a base with jrcute doing the last transactions 18 hours ago. If you see the photos in the link, You will see that he has around 1.5k notches after being unbanned for like what? 1 month? Their are stacks upon stacks of notches in the hopper system and to be fair, it does look like a dupe system. 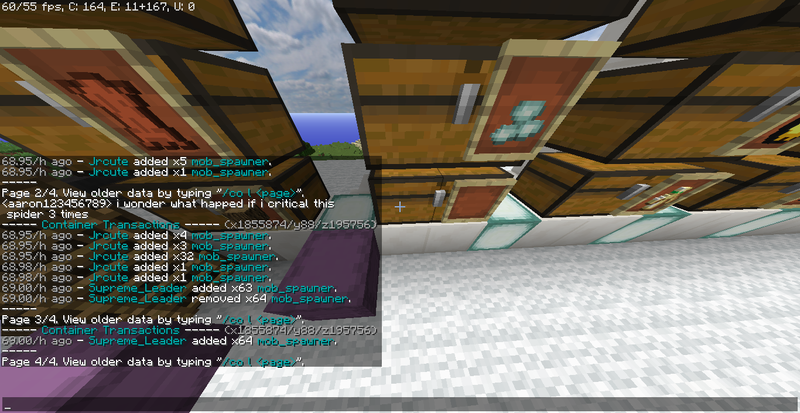 As you can see he removed around 400 notches from hoppers and has tons of spawners. If I'm correct aren't bases of people banned for duping/ban evading removed?. + if you see the pick axe screen shot. You can see that all of the pickaxes have the same enchant eff 3 silk touch and unb 3. EDIT: I'm not sure if this is duping or an op forgot to remove his base. But just reporting it for caution. The coordinates are in the screen shot I believe. OFC!! its hard to get that many item! you know? that thats all gappss i get it from the shop last day!! ! and why its many hopper and chest?? 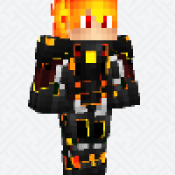 cause Dev GapsMN tell all player at cueballcraft that GapsMN want to change a shop cost of notchapple in 5 minutes! thats why iam fastest build a hopper and chest!!! and you know why i have many Beacon?? its 2 stack! cause jcv give it for free! and the Pickaxe?? why soo i have many of them?? cause ill go to inmortal base! and trade in any villagere! its only 1 pickaxe for 8 emerald!! You do realize you need more then at least 20 stacks of grists to get that many notches at that rate. U ask why about the hopper? Stop lying....... I did co I and it is old enough that the records of it being placed are lost. So you did NOT place it when Gaps wanted to change the prices. And You just said that your friend gave you 32 spawners but if you check the screen shot of the spawner chest, It has more then 100. EDIT: PS when did I say you spawn killed? After about 3 hours of investigating hundreds of CoreProtect data, I have found out that everything Jrcute says is (seemingly) true. I'm not sure what you're trying to show with the first set of screenshots of his house, if you're referring to the amount of gold blocks, he does have a gold farm and anvils are easily bought in the spawn shop. His gold farm, about half of the spawners were placed by other people, not just Jrcute. Multiple people frequent the base. For the pickaxes, I tested it myself and traded with a Toolsmith villager. I got over 2 double chests of the same pickaxe and could still continue to trade and buy more. (Costed 2.6ish stacks of Emerald blocks with it costing 14 emeralds each, which is very cheap). I couldn't find Inmortal's villagers (he has so many claims), but the pickaxe's enchants are common among Tool Smiths, and tbh who would dupe such a bad pickaxe. As for the notch apples, they were added about 40/h ago, the spawn shop was changed and had that 2 grists -> 8 notch trade since 45/h ago. As the ss's below show, he took out large amounts of Grist before putting the notch apples and placing the hoppers and such. Which lines up to what they say happened. 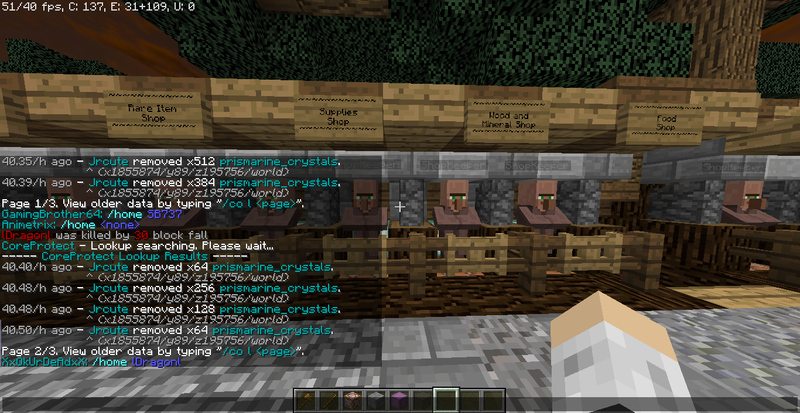 As for the spawners, Supreme_Leader actually added a stack of spawners to his chests. Supreme_Leader lives with ShawnTheSheep, both of which have been playing for a while. (Atleast a month) Both Supreme and Shawn frequently visit Jrcute. Other than that stack, Jrcute has only been taking out and putting in 1-5 spawners when dealing with chests which is average among players. He did get 29 spawners out of a chest at one point, but that was from an old base that has since been removed (mined by players). As for the beacons, Jcv does have a large quantity of beacons. After finding 5,300+ beacons within his home, I found a wither skeleton farm in his house (yes, i changed it to skeleton bc wither skeles aren't allowed in overworld) as well as storage space of 8 double chests for wither skulls (all empty though). We'll investigate further to solidify everything, but he's innocent until proven guilty. Obviously I'm not going to post all the core protect data because that would take so much space and time. Just because someone has a lot of items does not mean they are always duping. That is why they must be investigated and all the items tracked down to their origin. Only if the items came from illegal acts is when they can be punished. Quite the opposite, you are fine. Thanks for investigating Raged, and I apologize Matthevv for the blame. Good to see that people are pvp'ing with non-duped stuff.